City living does not have to mean compromising nature scenery. Boston is filled with everything from beautiful historical buildings, to modern architecture, and lovely nature views. 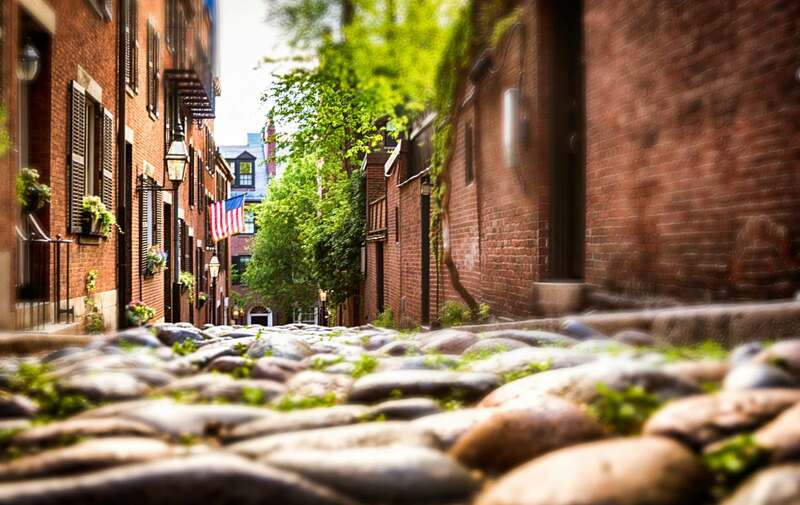 The following are a hidden gems located throughout Boston that are truly unique spots. 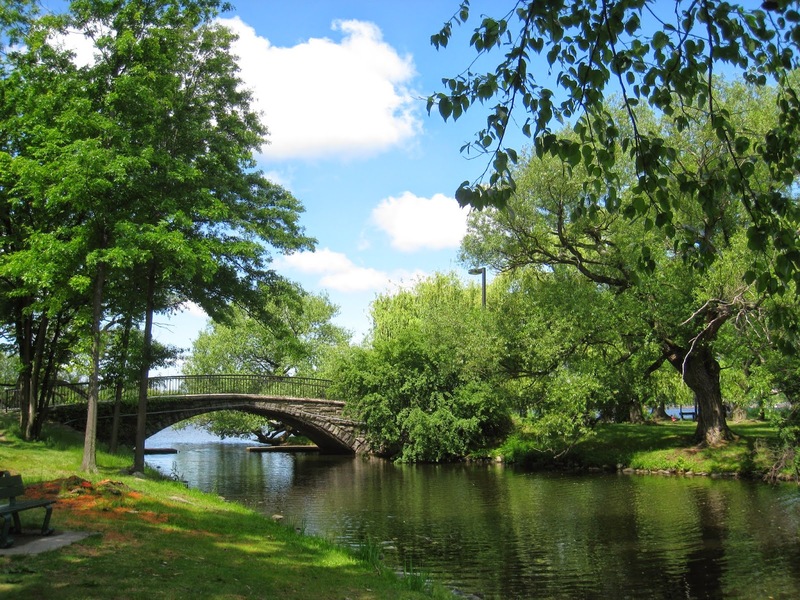 First up is the stunning Charles River Esplanade. This is a state owned park in the Back Bay area of the city, right on the banks of the Charles River. The park consists of walkways, statuaries, and the Hatch Memorial Shell which hosts the Boston Pops every Fourth of July. This 18 mile loop is the perfect spot for running, walking or biking as it spans to both the North and South sides of the river. 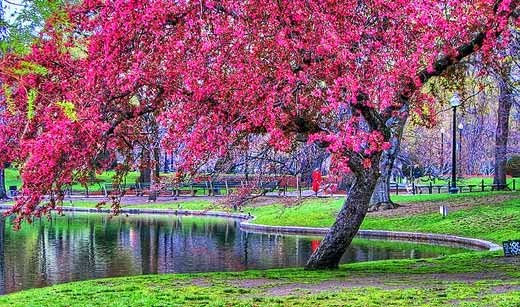 The Boston Public Garden is a must see no matter what time of year you venture to Boston. The garden spans for 24 acres, and is decorated with blooming flowers and rolling greens in the warmer months. From around April to September, the Swan Boats glide across the lake, and if you are lucky you can even see some of the real swans that inhabit the lake! Did you enjoy the book, “Make Way for Ducklings”, by Robert Mcloskey growing up? If you did, going to the bronze statue of Mrs. Mallard and her eight ducklings is a must. If you are here in Boston in the colder months, do not worry! The Garden is still a mesmerizing New England winter wonderland complete with ice skating, frosted grounds, and dreamy snowfalls. The Boston Harbor Islands has something for everyone to love. 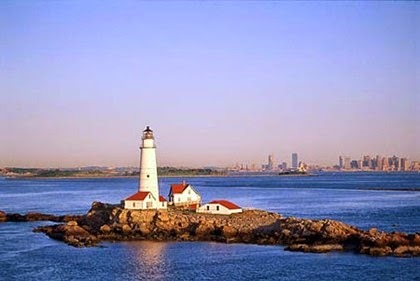 The Islands are a place where you can explore tide pools, hike breathtaking trails, camp under the stars, fish, and even visit historical sites such as lighthouses and Civil War-era forts. To experience the islands, you can take a quick ferry from Long Wharf-North in Boston, complete with a view of the Boston skyline. If you would like to travel independently, you can also reach the islands with your own motorboat, sailboat, or kayak. After adventuring to these beautiful spots, you deserve a relaxing night! The Clarendon Square Inn provides a soothing environment for you to rejuvenate, and enjoy delicious breakfast in the morning. For more information on nature sites in Boston, feel free to check out our Nature in Boston Pinterest board.